Some people call me the "Green machine", others just say I'm lucky, truth is..both are right! 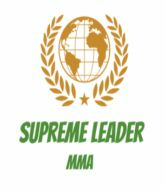 Follow Supreme_Leader_MMA betting tips today and let us do the work for you! I love discussing fights so I will try to reply to everyone as soon as I have time.